John-Richard's Henley bookcase features nine open compartments that sit atop a three-drawer base with delicately tapering legs. 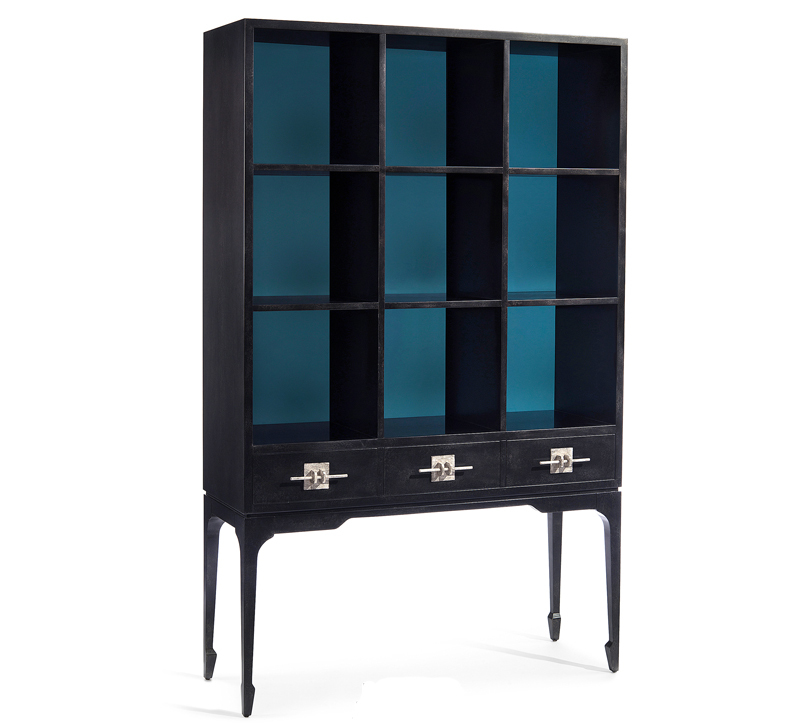 The case is finished in a lightly mottled dusty black with a contrasting but complimentary capri blue back panel and drawer interiors. A simple bar and bracket pull mounted on each drawer finished in silver white. Soft closing drawer runners are fitted.